Pedestal mount 4", small teeth. Total length: 114 mm. Round base, square mounting plate 50x50 mm. Black. 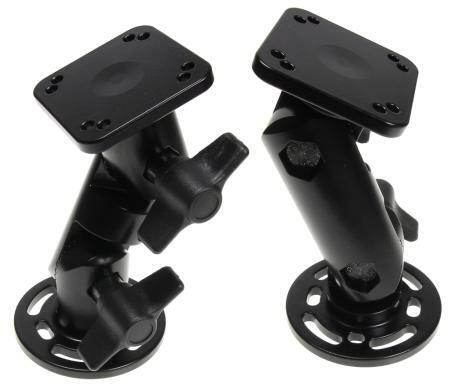 The angle between the Pedestal Mount parts can be changed as required. Can be angled sideways in steps of 11,25°, up to a maximum of 180° (16 different positions). 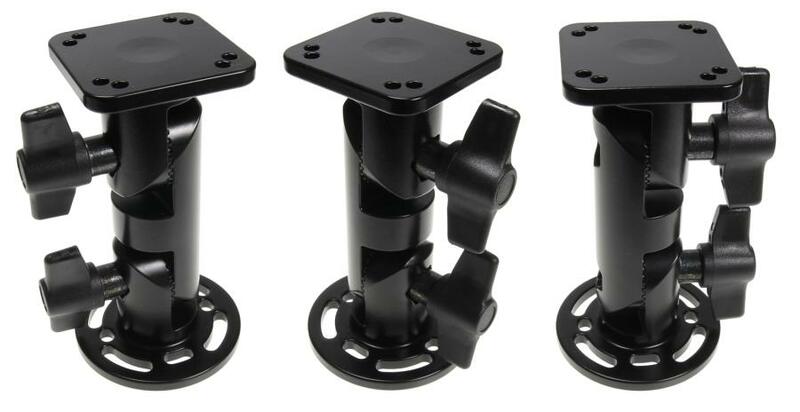 The round base has a diameter of 64 mm and has multiple holes for radial adjustment. The square top is 50x50 mm and has two sets of AMPS holes. This Pedestal Mount also comes with a wingnut in each interlocking joint in order to allow for easy and quick adjustment of the angle setting.